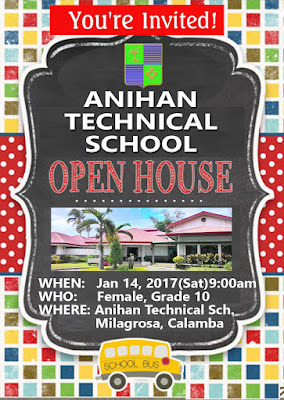 We are inviting all female grade 10 completers for a one day OPEN HOUSE of ANIHAN TECHNICAL SCHOOL - FPTI. 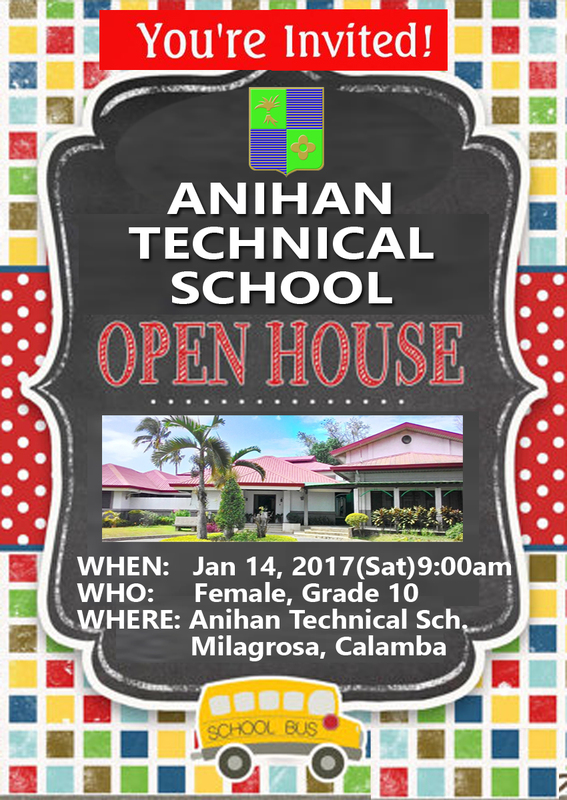 Come and see the beauty of the school together with your friends. See yahhh!